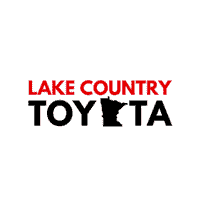 For the do-it-yourselfers in the Grand Rapids area, we have a fully-stocked inventory of Toyota parts directly from the manufacturer at our Toyota dealership in Baxter. Why bring down the high quality of your Toyota with aftermarket parts when OEM Toyota parts will keep your vehicle running at peak performance? If you already know what you need, simply fill out the parts request form on our website, and the helpful staff at our parts center will process your order quickly. If you’re not quite sure which part will best resolve your issue, they’re more than happy to assist. Call our parts center directly at (218) 454-2220 to speak with an experienced member of our parts team for additional insight. If the perfect part for your vehicle is not currently available, we can order it for you right away! Stop by our Toyota dealership serving Garrison for the OEM parts and advice you need to get your vehicle back on the road quickly!